Today I want to introduce you to a Wednesday Worthy whom I’ve known — online, at least — for several years. Her blog, and her writing style, have delighted me all that time, and it is a joy to introduce her to you. When you click on those magical words, “Read More,” you will be privileged to get a glimpse into the wonderful world of Aubrey and her enchanting blog, through an interview I did with her recently. Aubrey, thanks so much for participating in this Spotlight Interview. ME: Could you tell us briefly about the life-path that has led you to where you are today? AUBREY: Writing-wise, I do recall being published in my high-school creative writing magazine. But as the subject matter was in the adolescent/discontent genre, once I grew out of that uncomfortable time, that phase of writing was grown out of too. Now, I started to write again solely because I had a blog: once I had registered, it was like having a huge empty room of my own that I could decorate any way I wanted. Years of words, long subdued, came bursting out for me to use as I willed. It was unusual – and fabulous. Career-wise, I work in public relations. When I think of the journey of jobs I’ve taken to get there, my mind becomes absolutely pretzel-like. ME: Although I am aware of the origin of your blog-name, “Aubrey,” most of my readers aren’t. Could you explain where “Aubrey” comes from, and why that person means so much to you? AUBREY: ‘Aubrey’ comes from Aubrey Beardsley – my favorite artist, writer, bon vivant. I remember seeing his drawings for the first time, and I was so overwhelmed, I had to close the book to catch my breath. His art is dark, graceful, complex and unequaled. His writing is rather naughty, but only in a Baroque/Victorian way. He treats words like art – grammar means nothing; only texture and vision and violent color. Anyway, when I started my blog, I thought it would be a kick to choose his name as an alias. ME: Your tagline, “What a dear, dear, day” has always intrigued me. Could you tell us about it? AUBREY: It was something Beardsley once said – I own buckets of Beardsley biographies and I must have got it from one of those. It is a divine exclamation: something both elegant and eccentric – something I always will strive to be. ME: You write so eloquently about artworks – what prompted you to focus your blog the way you have? I look at my blog the way a Victorian hostess looks upon her dinner guests – we don’t discuss sickness or politics while at table…I never write about politics and sickness sometimes (but only when the situation is so dire it becomes almost entertaining). For the most part, I write about art and history because those are the things I would want to read about. I like to analyze works of art in detail – not as an art historian would, but merely as a highly appreciative traveler would: one who is visiting a ravishing countryside, and who will then write a travelogue about it. It’s a way to absorb the art, to make it a dear possession. Different points of view, different beginnings – but all, I believe, ending at the same place. ME: You do add some personal posts, which I appreciate, because they remind me that there is a real person behind the mesmerizing prose. How do you strike a balance between the personal and the poetic? AUBREY: I’ll admit that personal topics make me squirm. The artistic things bring me joy and creativity – personal topics quite often just make me nervous! But sometimes a personal event – something I see or feel – can act like a doorway to something else…something quite unexpected and wonderful. ME: Your blog posts are truly literature. They seem to flow so easily that one imagines that the words simply pour out of you in a warm, rich flood. Could you tell us some of your writing process? AUBREY: Because of work, I really don’t have time to write until late in the evening. Ideally, I’ll have some music from http://www.ancientfm.com playing on my computer while I write. It’s chiefly instrumental – so there are no lyrics to distract me. If I do recognize something, I’ll of course take a break and listen to someone else’s story. Usually something about an ill-behaved knight, or mis-guided lady or a successful ratcatcher. And then I wait for the words. No matter what it is, my topic starts as an image. 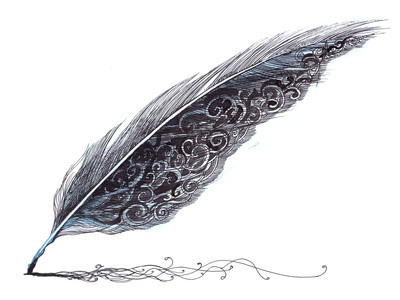 The words arrive in metaphor – a combination of grammar and vision – and I write them down as they arrive. It’s a slow business – sometimes I can get nothing more than a sentence or two in a half hour. ME: Do you have two or three favorite posts that you could point us to? ME: Of all the places in the world, where would you most like to visit and why? AUBREY: London – the museums, the galleries, the buildings, the gardens, the gray and the green, its depth of years. It’s been easily a decade since I’ve last been there, but I’ve been there often – and I want to go again: to see new things, to re-visit the things I know. AUBREY: Cheese – any type, any classification, any amount – whenever I cook, I double the amount of cheese asked for…and no one has complained yet. ME: What is your favorite way to relax (keeping in mind that my youngest blog-reader is 10!)? AUBREY: I am very proud of my morality – no need to worry! I love to go antiquing – I collect photographs and postcards; so the opportunity of riffling through a binder or shoebox full of images provides the oddest of relaxations: a combination of excitement and contentment. I also like to photograph birds – I’m trying to capture them in flight which is difficult, as they’re so sudden and devilish. The one I’ve taken that makes me proudest is of a brown pelican in mid-dive. They’re the only pelicans that hunt that way – reaching a great height, wheeling around then diving into the water with a flamboyant splash. ME: If you could spend a day with any fictional character, who would it be? AUBREY: My favorite author when I was young – 10 years and thereabouts – was Edward Eager. He wrote about children and their adventures with magic – a talisman, a depthless lake, a knight’s castle, a garden that breathes history. You never learned the children’s last names. My favorite book, maybe not surprisingly, was ‘The Time Garden’. If I had to choose only one fictional character, I would want to meet the eldest girl from that story, Eliza – to talk about the things she saw on her marvelous past-time travels. ME: Favorite real-life hero, if any? AUBREY: Aubrey Beardsley – it would be such a thrill to spend a day with my elegant – albeit sickly – boy. Thank you so very much, Aubrey, for this interview. I have so enjoyed having a deeper glimpse into the fascinating person I’ve come to know over the years, and I am delighted to be able to share the enchantment of your blog with others. How lovely to be introduced to a writer and blogger of such a different genre to my own, and quite piquant! I loved the Aubrey speaks with Aubrey tribute. I wish we could have seen some of the bird photography! You need to visit le pays des Fromages, Aubrey! Great interview, Beth. Thanks, Joanna! I’m delighted to be able to share Aubrey’s writing with a wider audience. Thanks for a very interesting interview, Beth and Aubrey! Aubrey certainly writes rich prose – beautiful! Thanks Susanna — I have loved Aubrey’s writing for years. It’s great to be able to share! Beth and Aubrey, what a lovely interview. I love getting introduced to different bloggers and different writing styles. This started my day off with a bit of poetic beauty and a smile. Thank you both. Thank you, Angela. Aubrey’s writing is certainly smile-invoking. She often leaves me with such a wonderfully uplifted feeling, as if I’ve been on a totally new plane of thought. Aubrey’s site is truly a work of word art. I’ve had the pleasure of meeting her twice and she’s a wonderful conversationalist, too. Thanks for the in-depth look! Lucky you, Laurie, to have met her in person! Thanks so much for stopping by. I am rendered speechless by the eloquence of her words. To say much more would carry me away from what I’m feeling after reading all of the posts you shared. Absolutely beautiful! Her writing is, indeed, powerful. I’m glad it touched you so deeply. Thanks, Larui! I so enjoyed learning more about Aubrey, too! This was such a pleasure to read! Aubrey’s writing is magical and it is nice to get a behind-the-scenes look. Thanks, LittleMiao — I enjoyed this “visit” with Aubrey, as well! What a lovely interview! I will definitely check out Aubrey’s blog! Thanks, Catherine — I’m sure you’ll enjoy Aubrey’s blog. 😉 Thought I’d throw that 10 reference in! Aubrey sounds quite a character…. I have visited her blog and read some of the posts… “Skin City” about Las Vegas, is hilarous. I love her writing style, her sense of humour, she tells it like it is. I can understand one losing themselves….. Loved meeting her, thanks Beth. Thanks, Diane. Aubrey is a delight! Glad you enjoyed meeting her.